The Northside Community Development Corporation is one of Chicago’s premier housing agencies providing quality counseling, education, and resources. Formerly the Rogers Park Community Development Corporation, NCDC is a wholly owned subsidiary of Northside Community Resources. For more information about our parent organization please click here. As a 501(c)(3) non-profit corporation, our mission is to foster community development and create and preserve affordable and diverse housing opportunities in Chicago through education, training, advocacy and development. Northside Community Development Corporation (NCDC) was founded in 1996 as the development arm of Northside Community Resources. Upon inception, NCDC took control of a problematic building on Morse Avenue in the heart of Rogers Park. The immediate area was ridden with drug use, crime, and prostitution when NCDC set forth plans to rehabilitate 1530 W. Morse. The end result was a much needed affordable senior apartment building and office space for the Rogers Park Community Council. The area has steadily improved ever since, and today the neighborhood breathes new life and activity. The rehab project on Morse Avenue is a token example of community transformation realized through the efforts of concerned citizens organized to make a positive impact on the community. Northside Community Development Corporation has expanded its operation and reach since its inception. 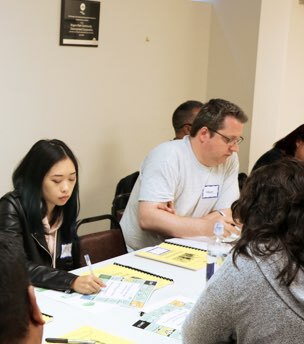 With a focus on preserving and creating affordable housing opportunities NCDC has developed into one of the most successful homeownership housing counseling agencies in Chicago. In 2002, we received our HUD certification to provide homeownership housing counseling. Shortly thereafter the agency forged relationships with City Alderman the Chicago Department of Housing to provide marketing and counseling for Chicago’s Partnership for Affordable Neighborhoods (CPAN), an innovative affordable condo ownership program. More recently, NCDC has partnered with various employers to provide housing counseling and down-payment assistance through various Employer Assisted Housing initiatives, including the Chicago Public Schools, Teacher Homebuyer Assistance Program. Today, NCDC continues to provide unique homeownership strategies to make homeownership possible for our diverse client base. NCDC strives to meet the housing counseling demands of our turbulent economy. We have met the demand of struggling homeowners by increasing capacity to provide more foreclosure prevention counseling. However, we firmly believe that the best foreclosure prevention tool is a quality pre-purchase counseling program that encourages our clients to make sustainable homeownership decisions from the start. NCDC has become a leader in providing Employer Assisted Housing consulting and counseling services. Through partnerships with regional employers we work to counsel participating employees seeking to purchase homes, and guide them through the home purchase process to closing. We currently provide EAH services for Hamra Enterprises, Labelmaster and Loyola University. Through our wide range of services we serve clients of all types of racial and income backgrounds. We work with clients in all 50 wards of the city as well as suburban regions. We continue to maintain unique partnerships with public, private, and other non-profit agencies to expand our reach and further our mission.